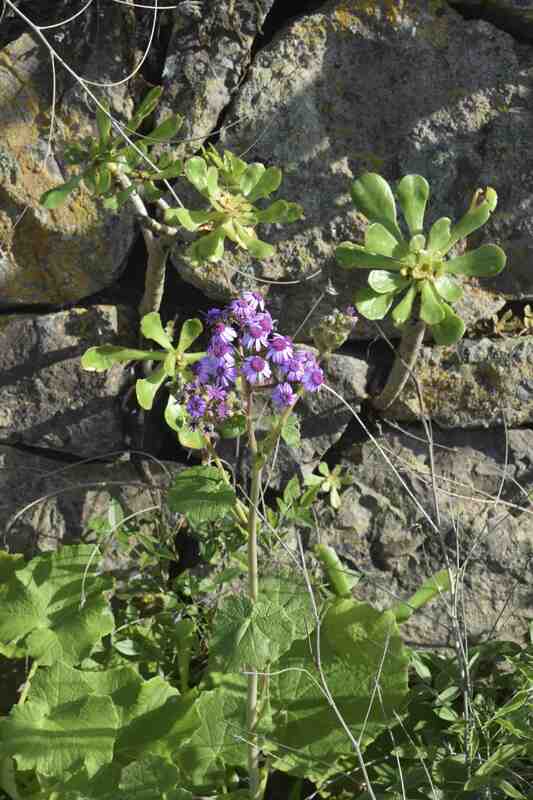 There are a few plants I have always wanted to see in the Canaries and high among these was pericallis. 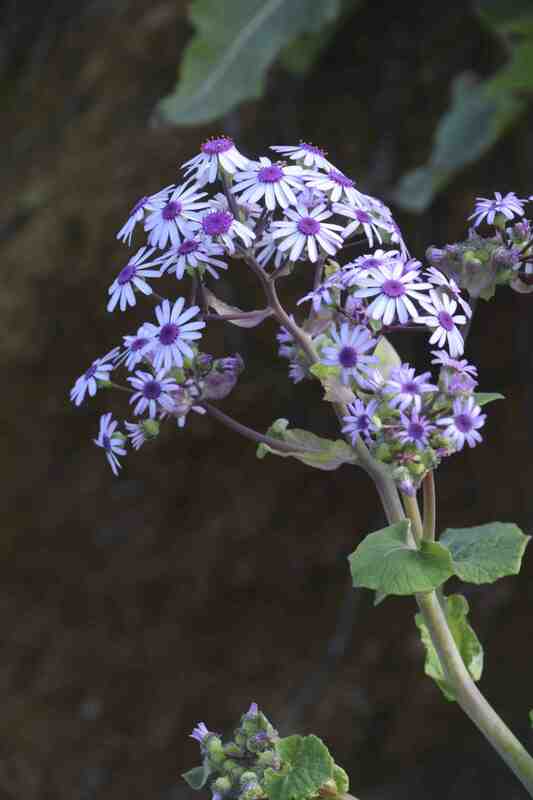 The name may not be very familiar but the older name of cineraria may be better known. It is from plants native to the Canaries that the florist’s cineraria have been bred and these popular, late winter greenhouse plants are unexcelled for winter greenhouse display and, although they are far less popular than they were pre 1980s, their vibrant colours still ensure they are available for Mother’s Day (in the UK and Ireland where it is in March). Cinerarias have enjoyed a massive boost in popularity in recent years through the development of ‘Senetti’ which are hybrids of pericallis species that have been bred to create truly spectacular pot plants that bridge the gap between spring and summer flowers. The success of ‘Senetti’ is down to the breeders (the Japanese Suntory company) who have created a range of plants that are easy for nurseries to grow to flowering size with minimum time and heat. In the UK and Ireland the plants are a bit tricky for gardeners to cope with because although they will stand a little frost, the cold and windy weather of April, when they appear in garden centres, can mash the plants, which have been grown in greenhouses and are often a bit ‘flabby’. 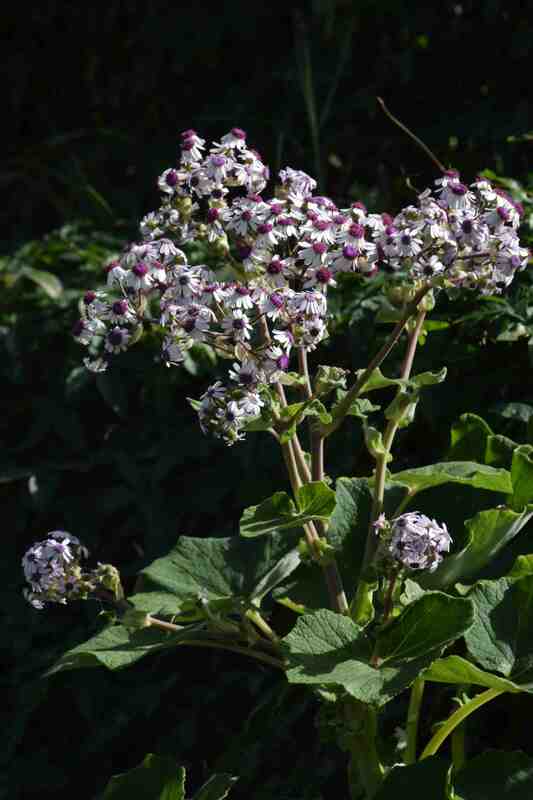 And although they are strictly perennial they often do not rebloom well in summer. But, for a bit of luxurious colour when you can’t wait for summer flowers, they are lovely. But back to Gran Canaria. 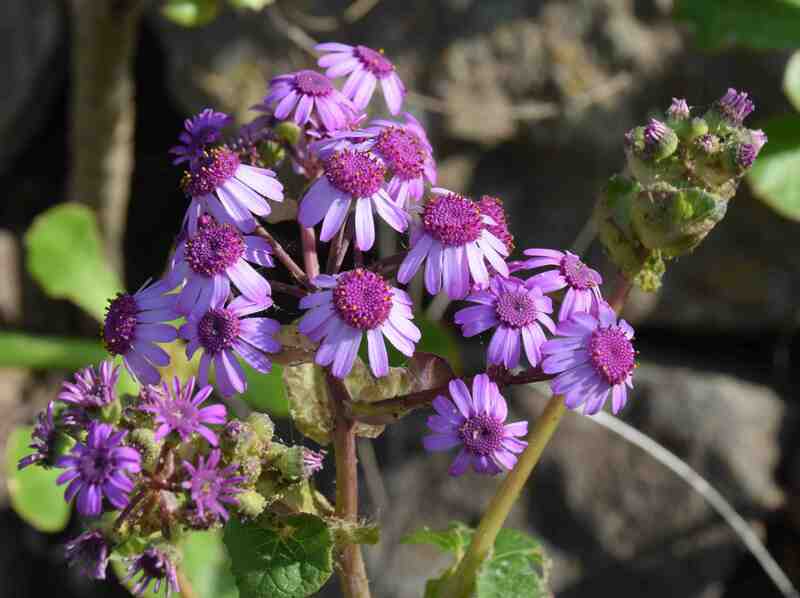 There are about 10 pericallis species in the Canaries and, in previous years, my January visit has been too early to see them in bloom. But this year, maybe because of an earlier season weatherwise, I was delighted to find flowers everywhere. 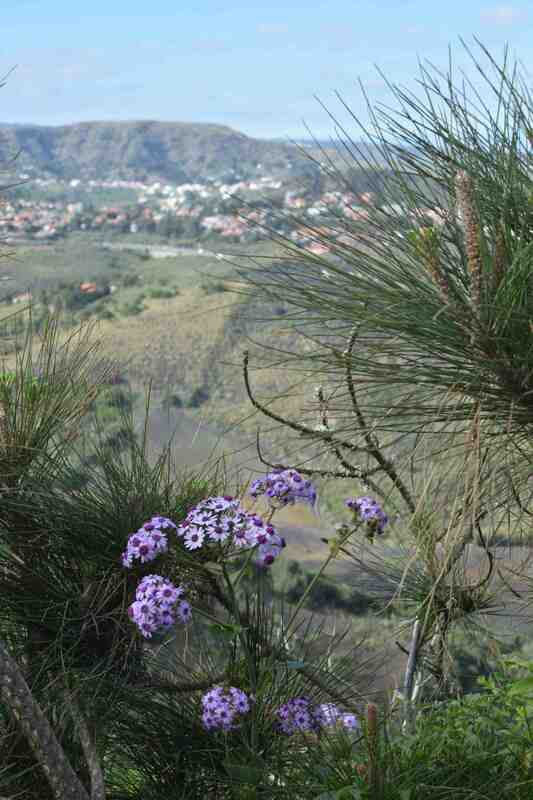 Now it is easy to think that because Gran Canaria (and the other islands) are sunny and volcanic, these and other native plants want full sun and drought conditions (something I hope to mention in a later post). But the truth is that many plants want cooler conditions. 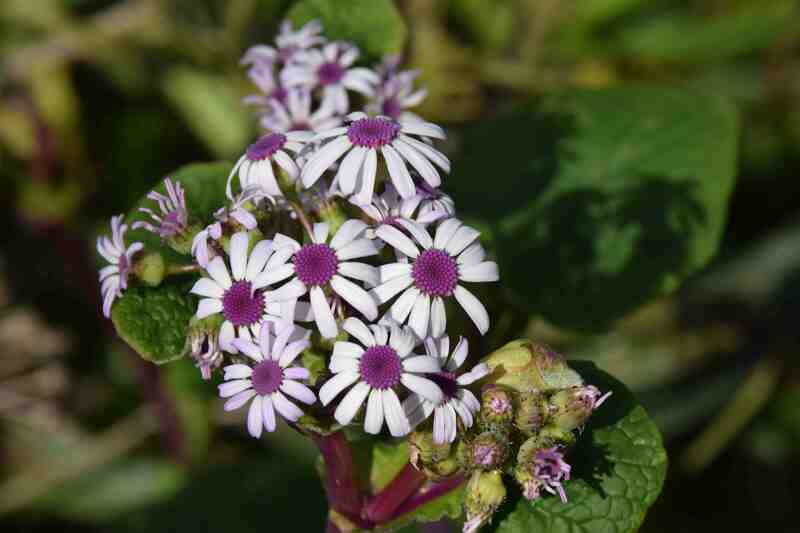 In the case of the pericallis, they never grow near the coast: they prefer higher elevations where it is cooler, and, in my observations, never in south-facing positions that would be baking hot. 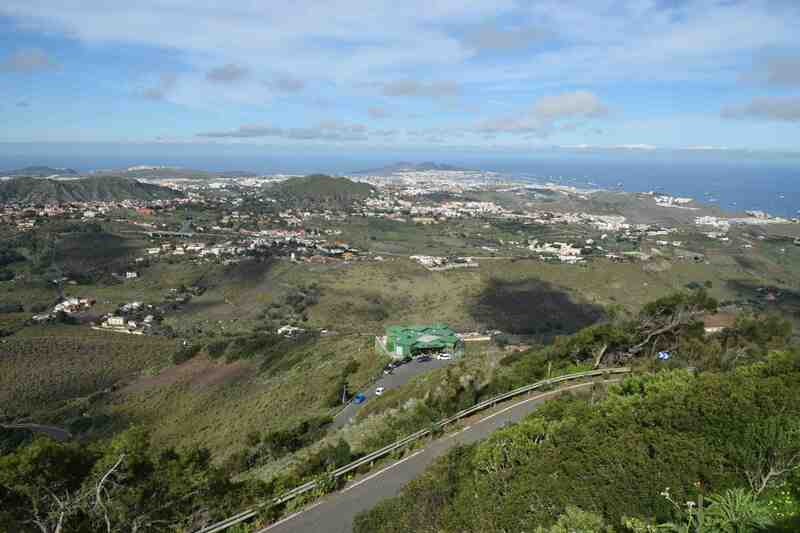 These photos are all taken in the north east of the island on the fascinating Pico de Bandama (near Tafira and the Botanic Garden), a place I chose to visit purely because of the spiral road I spotted on the map that seemed to climb up a steep hill. It turned out to be a good choice and a fascinating trip. 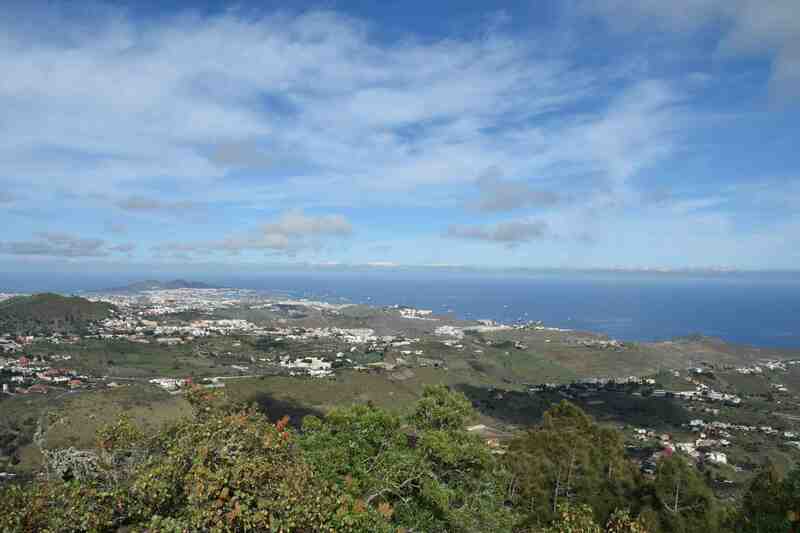 Although relatively isolated it is only about 10km from Las Palmas, the island’s capital. 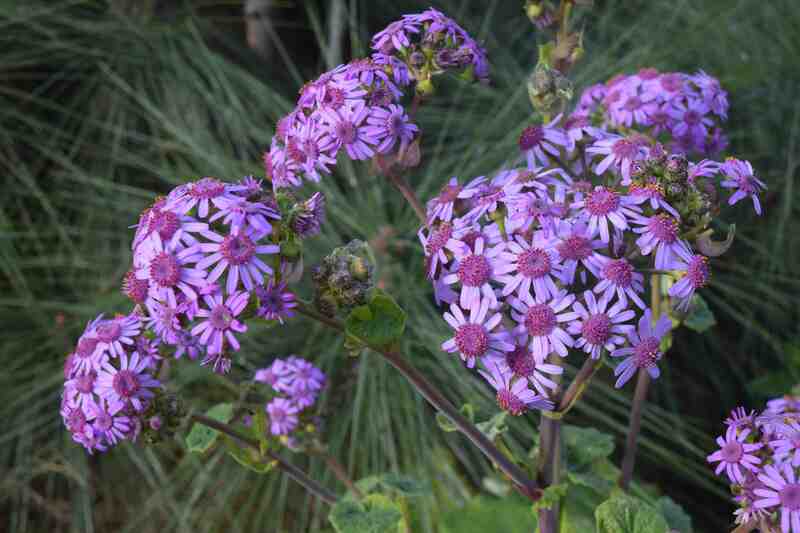 Anyway, I am pretty sure that this is Pericallis webbii, a perennial that grows up to 1m high but which is usually 50-80cm in height with clusters of ‘flowers’ in a wide variety of colours. 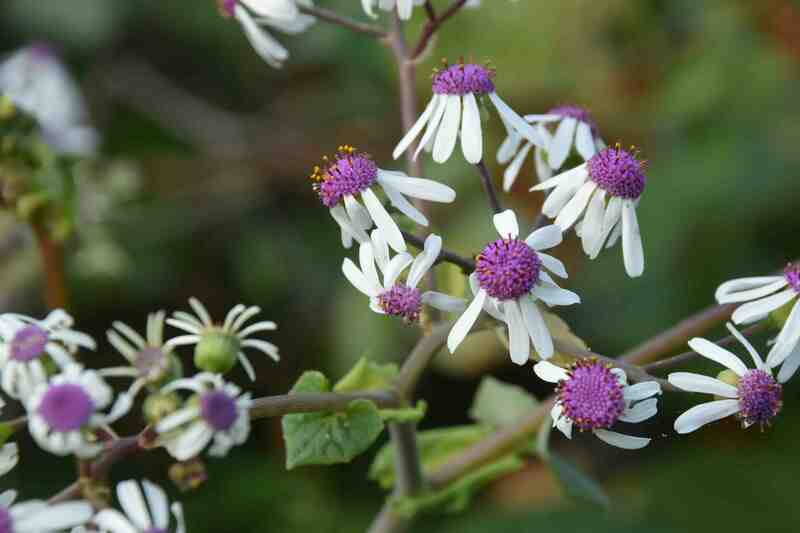 The pot plant cineraria, though once common, is a difficult plant to grow well from seed. It has large leaves and need plenty of water but must never be overwatered. It is prone to aphids, whitefly and leaf miners. It can also get mildew. But when grown well it is magnificent. Even when you buy a plant in flower it can be a tricky customer to keep happy. Those large leaves mean it needs regular watering and if it dries out and the leaves wilt they rarely pick up again and have to be cut off so you end up with a plant with bare stems crowned with spectacular blooms. And because nurseries prefer to use biological controls rather than chemicals which invariably ‘control’ pests and not kill them, I always find my cineraria covered in aphids after a few weeks, after which it is time to turn it into compost! Seeing these wild plants growing where they do naturally their needs become clear. They do not grow in full sun – that is too severe for them. And they grow where there is some moisture in the soil but almost always on steep slopes so the drainage is perfect – a well drained, moist soil out of strong sun, what plant wouldn’t like that? This one (below) is distinctly different but I did not stop long enough to check the leaves so whether it is just an exceptional form of the species or something else I cannot say. 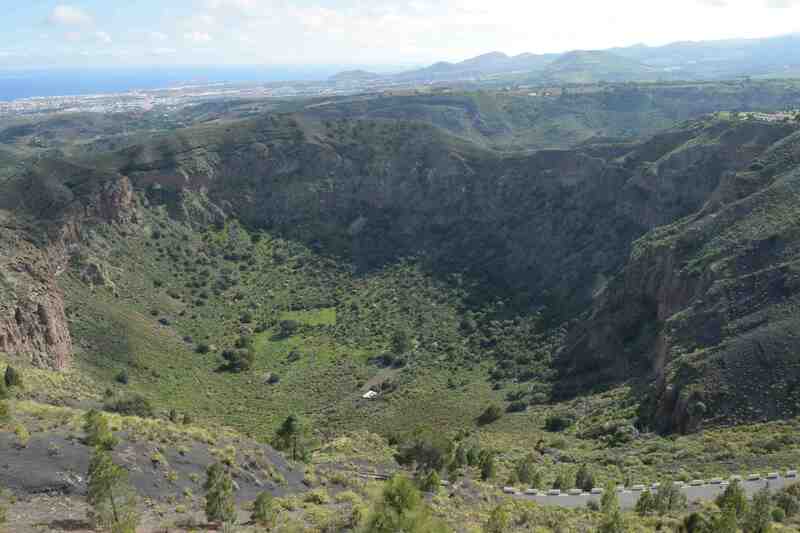 The Pico de Bandama has, to the south, the remarkable Bandama caldera which is the most recent volcanic crater on the island and 1km across. 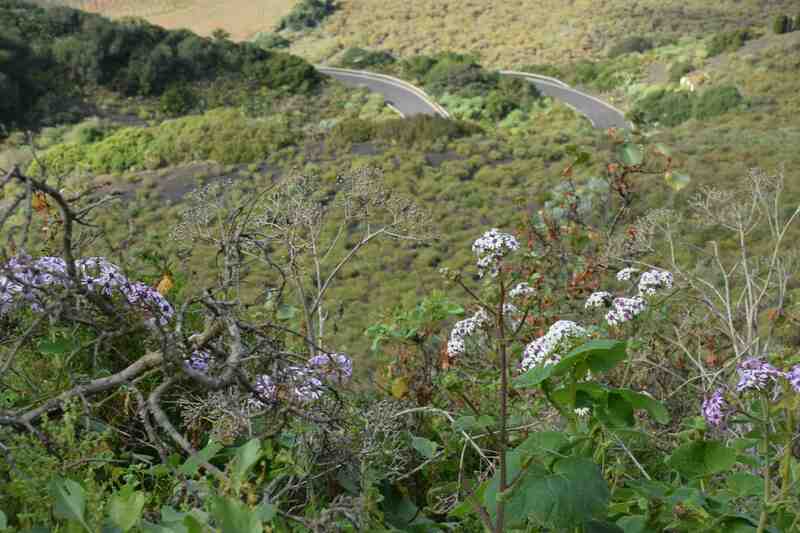 The rim of the cinder cone is 446m high and the base is just 221m above sea level. There are trails down to the bottom and a farmhouse down there – I just can’t imagine how the people down there get out! I didn’t walk down there but there are caves in the volcanic ash walls that were used by the guanches to store grain. There is a delightfully eccentric rest stop on the road after you have done a full spiral of the hill. It seems to be run by some delightful ladies and, although the range of snacks is limited and the shop sells a quirky range of gifts, the hosts are welcoming and the outdoor terrace where you can relax with your refreshment has superb views to the coast to the east and north. I find it too easy to say good things about this jewel in the Atlantic but sitting looking at the view here was unforgettable. (the cafe is the green building below). You can park here and walk up the hill. Although you can drive, it is worth walking so you can fully appreciate the changes in the flora as you walk round the hill, going anticlockwise from sunny slopes to those that never see sun. 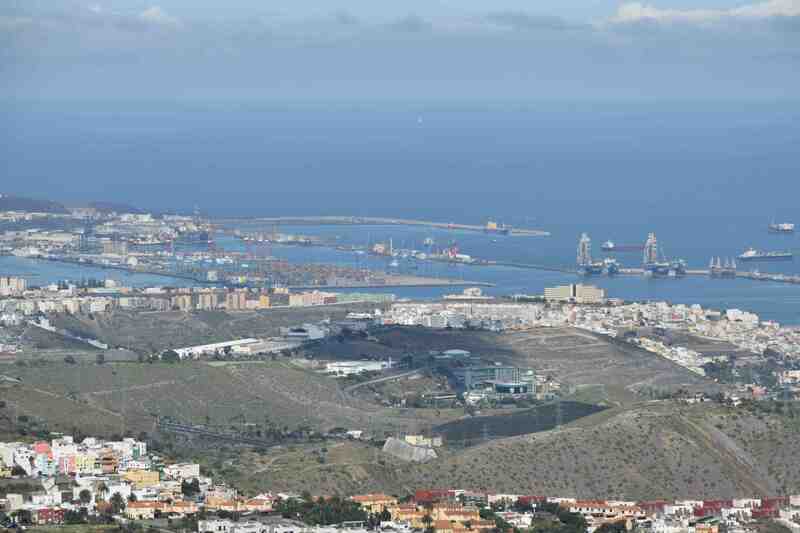 And when you get to the top (577m) you have amazing views, in all directions, including to the north where Las Palmas and its port and northern peninsula can be clearly seen – on a good day. loved those views Geoff and the cineraria are beautiful much better in the wild than stuck in pots. It is always good to see them in the wild and they do look more natural. Gorgeous aren’ t they? 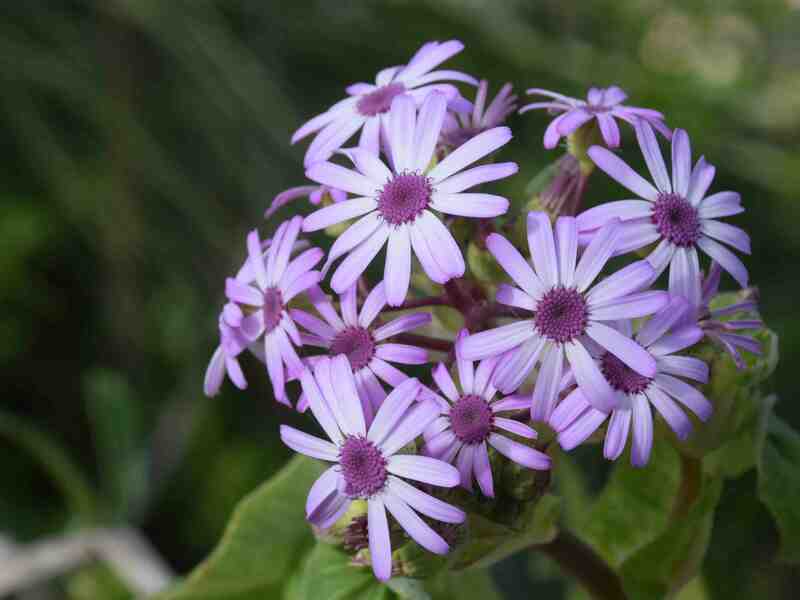 I have had a Pericallis ‘ Senetti’ outside in a pot for three years now. I take it into the unheated greenhouse when the weather gets too bad. The blooms last for weeks. That is interesting. Well done for keeping it going for so long – the growers will be really upset that you don’t have to buy a new one each year!